Welcome to Leddin Vintage Guitars! Leddin Vintage Guitars is designed for the guitar enthusiast that is looking for that special hard to find part to complete that special project. If you are tired of walking into a music store and not being able to find that special part, then I am your man! 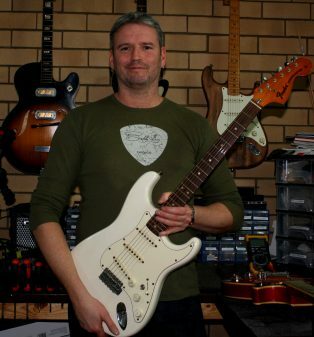 I am an online business dedicated to vintage and used guitar parts, quality handwound pickups and pickup repairs. I am based in sunny Brisbane Australia but sorry I do not have a store front as such. However I am available on an appointment only basis for pickup repairs or parts pickup. Please contact me via the Contact us page to make appointment or for information on vintage guitars and my pickups. I have about 300 parts on my inventory please check out the product links for my current stock. If you are looking for something particular please use the Search products tool it is very accurate.